Diamond Personnel > Family Blog > What Level Of Nanny Service Should You Invest In? Hiring a dedicated nanny through an agency is one of the most sought after options. 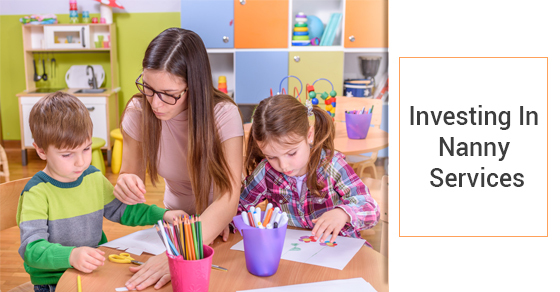 Hiring an experienced person to deliver quality child care in your absence could be expensive depending on a variety of factors. One of the first decisions you should make hiring a nanny is whether you want a live-in nanny or live-out nanny, and your choice could have a huge effect on the price point. A live-out nanny comes to your home every day and leaves at the end of the agreed length of workday. During their working hours, live-out nannies ensure that the child or children are well cared for. They could engage your child in age-appropriate activities, take them on outings for entertainment, and follow your directive on instilling discipline. A live-in nanny, on the other hand, resides in your home at all times, choosing to stay out only on off days. The working hours of live-in nannies are more irregular than of live-out nannies because they share the same roof as the children. Although their main focus is tending to your kids, they may also perform light housekeeping chores, laundry, and even run errands. However, the duties of the nanny should always be discussed before starting work. Live-in placements tend to be more expensive than live-out placements because of the extra duties that the nanny has to take up in typical household situations. You also need to make the necessary preparations to have a new person living with you, including accommodation, meals, shopping for daily expenses, driving privileges, and overtime for working during bank holidays. The duration for which you require nanny services may also influence how much you pay for the service. In addition to live-in and live-out placements, many agencies also offer temporary nanny solutions with their own unique price points. When dealing with a professional nanny agency, you can benefit from nanny-placement packages that include things like replacement guarantees, free emergency backup child care days for holidays and nanny-sick days, and immediate childcare spots for your child in a kids centre before your nanny arrives. That said, you should also take note of any extra charges, such as health insurance, processing fees, and transport to and from the location of work to the agency.